RESTON, Va., April 08, 2019 (GLOBE NEWSWIRE) -- Comstock Holding Companies, Inc., (NASDAQ: CHCI) (“CHCI” or the “Company”), announced that Google has signed a lease in Comstock Development Services, L.C. 's signature office building at Reston Station. 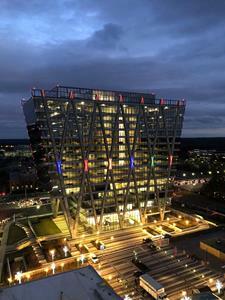 The global technology company has had a longstanding presence in Reston and will start moving its current employee base into Reston Station later this summer. Google’s new home, the JAHN building at Reston Station. 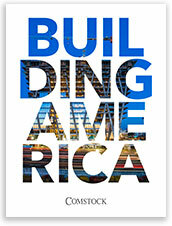 Google will occupy the top floors of the trophy building designed by world-renowned architect Helmut Jahn. The sixteen-story building with a concrete exoskeleton over a glass curtain wall is now an icon in the Dulles Corridor, towering above the Dulles Toll Road and Metro’s Silver Line Wiehle-Reston East station. This new space will give the company room to continue growing their short and long-term local presence in the state. Google joins office tenant Spaces, and restaurants Founding Farmers, Matchbox, Starbucks and Sweet Leaf in the rapidly-expanding neighborhood. “We are most thankful for the opportunity to be home to an industry leader like Google. We had the opportunity to discuss with Google our vision for the Reston Station neighborhood – what it is today and what the future holds – and are very happy that our ideas intersect,” said Tim Steffan, Comstock EVP. Comstock recently announced the addition of CVS to its Reston Station tenant roster, which will be located on the Plaza level at the entrance to the Metro station in Comstock’s second office building that is currently under construction. 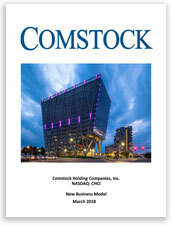 Comstock Holding Companies, Inc. (“Comstock” or “CHCI”) is a multi-faceted real estate development, asset management and real estate related services company that, since 1985, has designed, developed, constructed and managed several thousand residential units and millions of square feet of residential and mixed-use projects throughout the Washington, DC metropolitan market and in other key markets in the southeastern United States. In early 2018, Comstock transitioned its operating platform from being primarily focused on developing on-balance sheet, for-sale homebuilding projects to being focused on commercial real estate development, asset management and real estate related services. As a result, CHCI began operating through two real estate focused platforms, CDS Asset Management ("CAM") and Comstock Real Estate Services ("CRES"). CAM provides real estate development, asset management, and property management services, while CRES provides development supply chain services, including capital markets, real estate brokerage, environmental consulting and design services in the Washington, DC metropolitan area and in New Jersey and Pennsylvania. Anchoring the transition of CHCI is a long-term asset management agreement covering two of the largest transit-oriented, mixed-use developments in the Washington, DC area; Reston Station, a 4.5 million square foot transit-oriented, mixed-use development located in Reston, VA, and Loudoun Station, a 2.5 million square foot transit-oriented, mixed-use development in Ashburn, VA, as well as other additional development assets. Comstock's substantial experience in entitling, designing, developing, and managing a diverse range of properties including apartments, single-family homes, townhomes, mid-rise condominiums, high-rise condominiums and mixed-use (residential and commercial) properties, as well as large scale commercial parking garages and infrastructure projects, has positioned the Comstock organization as a premier developer and real estate related service provider in the mid-Atlantic Region. The Company is a publicly traded company, trading on NASDAQ under the symbol CHCI. For more information about CHCI or its businesses, please visit www.ComstockCompanies.com. To view our social media, please visit, https://twitter.com/ComstockHB and https://twitter.com/Comstockcos. Strategically located midway between Tysons Corner and Dulles International Airport, Reston Station is among the largest mixed-use, transit-oriented developments in the Washington, DC area. Covering nearly 40 acres spanning the Dulles Toll Road and surrounding the Wiehle Reston-East Station at the terminus of Phase I of Metro's Silver Line, Reston Station is already home to more than 1,000 residents, numerous businesses, multiple retail establishments, and several restaurants. With more approximately 2 million square feet of completed and stabilized office and residential buildings, more than 2 million square feet of additional development in various stages of entitlement, development and construction, and a 3,500-space underground parking garage and transit facility adjacent to the Wiehle Reston-East Metro Station, the Reston Station neighborhood is taking shape and quickly becoming Fairfax County's urban focal point in the Dulles Corridor. For more information about Reston Station, please visit; www.RestonStation.com. To view photo gallery, please visit, https://comstockcompanies.smugmug.com/Comstock-Portfolio-Properties/Reston-Station. To view photo gallery, please visit, https://comstockcompanies.smugmug.com/Comstock-Portfolio-Properties/Loudoun-Station. To opt-in for investor email alerts, please enter your email address in the field below and select at least one alert option. After submitting your request, you will receive an activation email to the requested email address. You must click the activation link in order to complete your subscription. You can sign up for additional alert options at any time. We promise to treat your data with respect and will not share your information with any third party. You can unsubscribe to investor alerts by visiting the 'unsubscribe' section below. If you experience any issues with this process, please contact us for further assistance. By providing your email address below, you are providing consent to Comstock Holding to send you the requested Investor Email Alert updates.